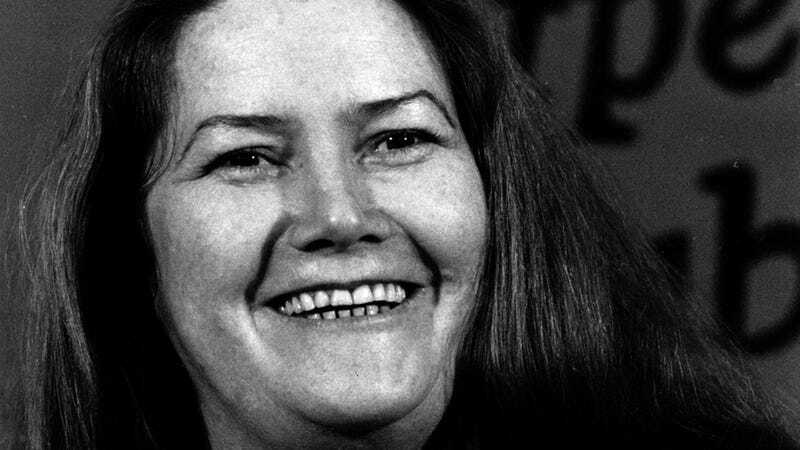 Here's how one Australian paper began its obit for a beloved author: "Colleen McCullough, Australia's bestselling author, was a charmer. Plain of feature, and certainly overweight, she was, nevertheless a woman of wit and warmth. In one interview, she said: 'I've never been into clothes or figure and the interesting thing is I never had any trouble attracting men.'" That comes via the Guardian, reporting on the backlash to the Australian's obit for McCullough. (Fans responded with Twitter mockery, starting the hashtag #myOzobituary.) The irony is, the paper also ran a reaction piece smack on the front page, which opened: "PASSIONATE, opinionated, feisty, ballsy, kind, dedicated to words and education, especially of young women." And other than the intro, the offending obit (which ran deeper inside the paper) isn't bad, touching on her well-respected work in neuroscience, her tough childhood and her thoroughly researched Masters of Rome series. Her charm was, no doubt, a very important facet of McCullough's character. But they just couldn't help but lead with the fact that she did it all despite the fact that she was chunky. I'm sorry, do lack of beauty and a greater-than-average amount of subcutaneous fat generally interfere with the workings of one's imagination? Somebody get the Mayo clinic on the line! Being big brings a million irritations, big and small. There are the often-dismal shopping options, the uncomfortable chairs, the nightmare that is getting on a plane, the fat talk from your thinner loved ones. (Please never complain about how you're "omg soooo huge" around a person who's been sized out of the Gap.) And make no mistake, all that wears you down. But it's hearing sentences like, "Plain of feature, and certainly overweight, she was, nevertheless, a woman of wit and warmth" that really leave a mark. Its very structure suggests there's some fundamental opposition between being overweight and being warm and witty, between being fat and being the sort of person whose company is enjoyed. And it's hearing things like that—tossed off all casual, by somebody who wasn't trying to be nasty or hurtful—that fucks with your head forever. You read that sentence and you stop and wonder what people think when they first meet you. Does everyone I meet assume I can't be charming and witty and warm? Does the whole world jump to the conclusion I'm some bridge-dwelling troll who can't carry a conversation? Nor is this some isolated incident. Anybody else flashing back to the New York Times' Yvonne Brill remembrance? The woman was a literal rocket scientist, but they led with: "She made a mean beef stroganoff, followed her husband from job to job and took eight years off from work to raise three children." What's a woman got to achieve before she gets an obit written straight? According to Crikey, an Australian outlet, this happened because the news hit as many papers were going to press, so the Australian quickly pulled a preprepared obit written years ago by somebody who has since passed away. God only knows how long it had been sitting in some filing cabinet. The author himself might have rewritten the intro if he'd been alive—the media climate has changed a lot even in the last half decade. But you know what? An editor should have caught that intro. Also, I'm pretty sure the print edition included an extra comma. Did everybody just ditch the close for drinks or something?